I do not get very many blues albums to review out of Norway, but the few that have made it to my desk have been very good. One of these is the latest disc from Berndon Kirksaether & the Twang Bar Kings, The Voodoo Sessions - Live at Down Under. This EP is their fourth release, and it is a healthy dose of burning and moody blues-rock. Three members of this group are from CIA, a solid blues band that hit the Norwegian scene in the early 1990s. On The Voodoo Sessions Live at Down Under you will find Berndon Kirksaether and Erik Gabrielsen on guitar, Stein Tumert on bass, and Roy Hanssen behind the drum kit; everybody gets credit for vocals on this effort. Next up is another original, “Some Kind of Voodoo,” which is six minutes of psychedelic fun. Berndon and Erik are able to coax synth-like sounds from their highly processed guitars, and there are neat vocal harmonies in play here. Hanssen shows great restraint and lays back on the drums throughout, mostly hitting the toms and adding cymbals in as needed for effect. When looking for songs to cover, it is hard to go wrong with Robin Trower, so “Mad House” is a pretty good choice for the number three spot. This is one hell of a jam that lets all four members cut loose, and it is nice to hear Hanssen and Tumert go a little crazy. This is the standout track from the disc, and at 3 ½ minutes my only gripe is that it is not long enough! 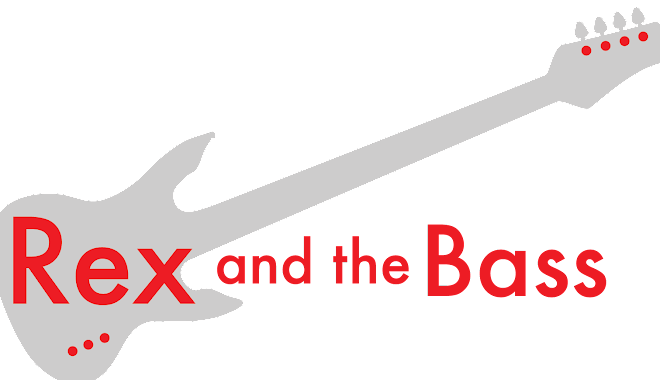 Closing out the CD is “When the Moon is on the Rise” which gets even more out there in the guitar sounds department with tons of reverb added in. Hanssen keeps a steady beat on the high-hat which helps to create a tremendous sense of tension throughout as it sounds like the band will explode at any moment, though they never do. This song would have fit in well on any of The Doors’ albums, which is good thing in my book. 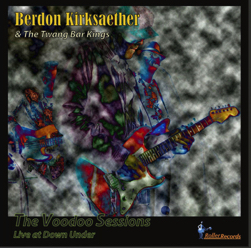 The Voodoo Sessions Live at Down Under is a fun release from Berndon Kirksaether & the Twang Bar Kings and it is good to hear what they can do live. We can only hope that they make it over to the states soon so we can hear them in person!